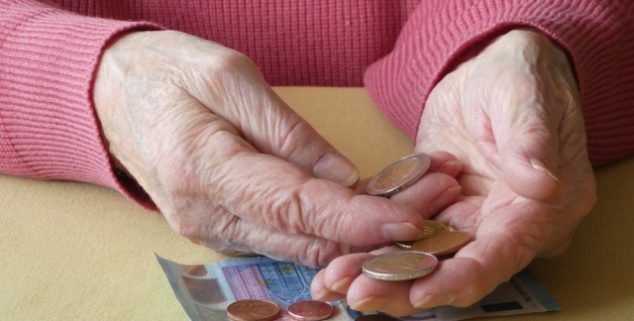 Opinion: Millions of Seniors Pushed into Poverty | We Stand With Seniors...Will You? It is no secret that Californians are living longer, but not necessarily better. By 2030, the state’s senior population will increase by 4 million people, yet the state is woefully unprepared to care for this growing and financially unstable demographic. The lack of any strategy or organized master plan has pushed millions of seniors into poverty, unable to access high-quality, affordable healthcare, dental care, housing and supportive services. Our lawmakers and next governor need to set aside partisan differences and collaborate on the creation of a state master plan for aging that recognizes three important pillars: the ability to age with independence; a healthcare system that responds to the individual not an institution; and affordable housing. To urge state lawmakers and our gubernatorial candidates to prioritize senior issues and develop a master plan for aging, West Health and The SCAN Foundation launched the nonpartisan, public awareness and education campaign We Stand With Seniors…Will You? Earlier this month, We Stand With Seniors commissioned a statewide survey to gauge voters’ sentiment on critical senior issues. Despite little attention in the news cycle, the survey findings underscored overwhelming public concern for senior issues. Sixty-four percent of voters expressed their anxiety surrounding the state’s lack of action to protect seniors, saying that the state is failing older adults. Although resources do exist to address some of the needs of California’s older adult population, there is no single policy articulating the State’s vision. The result is a health and supportive system that is underfunded, yet too expensive and provides too little actual care for those in need. The survey findings made clear that voters want action and leadership. A compelling 86 percent of voters value programs that promote and provide community-based care to aid elderly families and children of aging parents. An even higher 87 percent of voters support a plan that would allow older adults to age in the place of their choice. The fact that more than half of those surveyed said they would support a tax increase to invest in a statewide long-range strategy to support seniors speaks volumes. Everyone recognizes that the long-term care safety net has gaping holes. With one in five seniors living in poverty and the rising tide of public support for a statewide plan, we don’t have time for the regular partisanship of politics. The election provides an opportunity for Democrats and Republicans to #StandWithSeniors and develop a long-term solution that addresses the myriad challenges faced by California seniors, their families and caregivers. With nearly three-quarters of Californians concerned with their ability to pay for their own long-term care, the value and importance of a statewide long-term strategy cannot be ignored. The time for a state master plan is upon us. We need to put aside our political differences and act now to protect the quality of life and dignity of our aging parents and grandparents, and the economic futures of our children and grandchildren. We owe them that much and more. Ed’s Note: Shelley Lyford is president and chief executive officer of West Health, a nonprofit, nonpartisan family of healthcare research, policy and philanthropic organizations. Bruce A. Chernof, MD, FACP, is president and chief executive officer of The SCAN Foundation, an independent public charity devoted to transforming care for older adults in ways that preserve dignity and encourage independence. 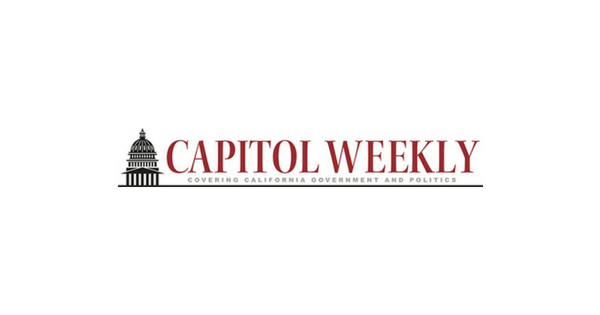 Read more from Capitol Weekly. © 2018 We Stand With Seniors... Will You? West Health and The SCAN Foundation’s We Stand With Seniors… Will You? nonpartisan, public awareness and education campaign focuses on the specific challenges seniors and their families face in accessing high-quality, affordable healthcare, dental care and supportive services and the cost to the state if these challenges are not addressed. Keep up with #StandWithSeniors on Facebook @WeStandWithSeniors and Twitter @WeStandWSeniors.